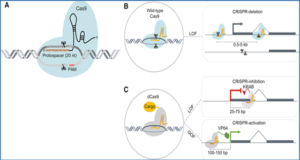 Mutations in the 3′-5′ exonuclease DIS3L2 are associated with Perlman syndrome and hypersusceptibility to Wilms tumorigenesis. Previously, Harvard Medical School researchers found that Dis3l2 specifically recognizes and degrades uridylated pre-let-7 microRNA. However, the widespread relevance of Dis3l2-mediated decay of uridylated substrates remains unknown. 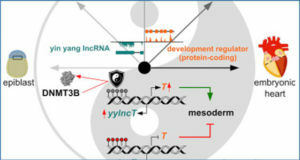 Here, the researchers applied an unbiased RNA immunoprecipitation strategy to identify Dis3l2 targets in mouse embryonic stem cells. 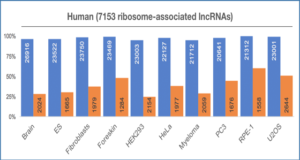 The disease-associated long noncoding RNA (lncRNA) Rmrp, 7SL, as well as several other Pol III-transcribed noncoding RNAs (ncRNAs) were among the most highly enriched Dis3l2-bound RNAs. 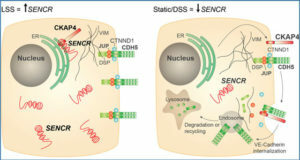 3′-Uridylated Rmrp, 7SL, and small nuclear RNA (snRNA) species were highly stabilized in the cytoplasm of Dis3l2-depleted cells. 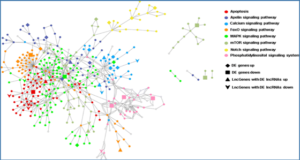 Deep sequencing analysis of Rmrp 3′ ends revealed extensive oligouridylation mainly on transcripts with imprecise ends. 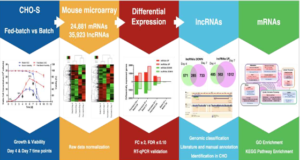 The researchers implicate the terminal uridylyl transferases (TUTases) Zcchc6/11 in the uridylation of these ncRNAs, and biochemical reconstitution assays demonstrate the sufficiency of TUTase-Dis3l2 for Rmrp decay. 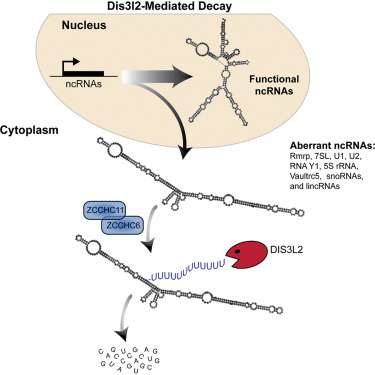 This establishes Dis3l2-mediated decay (DMD) as a quality-control pathway that eliminates aberrant ncRNAs.